Gretchen Gailey and Chris Hess, professional volunteers at last week’s RNC convention, were there to serve as Jon Voight’s assistants throughout the week and gleaned an “unconventional” insight into the life and political philosophy of the Oscar-winning actor. Balloons, confetti, and red, white and blue as far as the eye can see … all staples of a first-rate political convention. And no convention would be complete without a lineup of hard-hitting surrogates calling for lower taxes, smaller government and deeper family values. One man stood head-and-shoulders above the teeming crowds in Tampa at last week’s 2012 Republican National Convention. 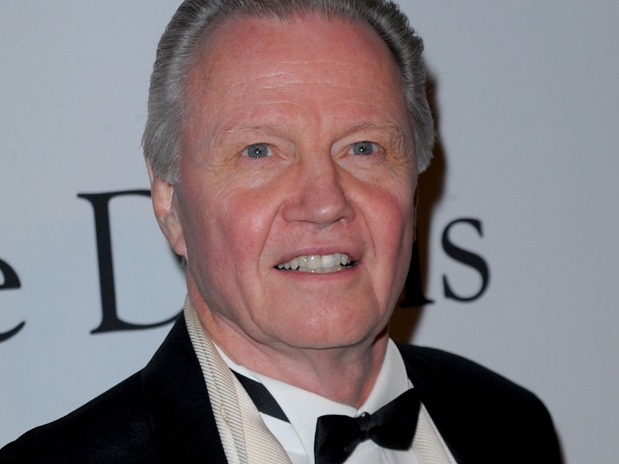 Jon Voight, the Academy Award winner now auditioning for his latest role – Conservative champion. He came with no ego and just one agenda: to use his fame to get out the message that Mitt Romney should be the next president of the United States. For Voight, knowledge of the candidates is key. Voight firmly believes that Romney is the man to fix the United States and to get its economy back on track. He looks at Romney’s track record as a fixer and a problem solver, pointing to Romney’s time as governor working with a highly Democratic Massachusetts’ legislature or when he stepped in and saved the 2002 Winter Olympics. Knowing these facts about Romney, Voight then rightly asks the question, just what has President Barack Obama done? Some may have questioned Voight’s motives for attending the convention. They needn’t have wondered, as the answer soon became clear once the convention began. As Voight began to articulate the Republican Party’s platform, it was clear he was a forceful surrogate for the Romney/Ryan ticket. The 73-year-old Voight made the rounds on “Radio Row,” spending more than seven hours doing interview after interview. He then promptly ran back and forth between the Convention Center and the Tampa Bay Forum, gladly conducting impromptu interviews from an unrelenting press corp. He tirelessly stood for hours without complaint. Contrary to the rough roles he often portrayed in Hollywood films, Voight came across as a kind, gentle and happy man filled with exuberance. He spoke fondly of his affection for kids and their spontaneity, especially his own grandchildren. This is the year of the unconventional Hollywood celebrity,- perhaps not for Voight who has been politically active for the GOP for the past five years, but for others who are speaking up for conservative values, like the surprise speaker, Clint Eastwood. Throughout Eastwood’s routine with the imaginary president, Voight was tickled, so happy that his friend was publically speaking out on behalf of the party. Two speakers who truly seemed to stick with Voight were not the headliners, but the friends of Romney who knew him best. The Oparowski’s talked of losing their 14-year-old son and Romney standing by their son’s bed, helping to draft their son’s will and later giving his eulogy. Next came Pam Finlayson, who told how the presidential nominee never forgot the people close to him when she lost her daughter. Voight was taken with their testimonials and said that this was the Romney that people should know. He repeatedly told reporters that the media had created a second, counterfeit Romney in order to hide the truth about him, and they turned President Obama into a saint when they knew nothing about him. If there was one message he wanted to bring home to all it was, “Get educated, know who you are voting for.”And for Voight what better way for people to learn more than through the new movie, “2016: Obama’s America.” He touted the movie in interviews as if he were promoting his own next blockbuster. Throughout his interviews, he reiterated his belief that President Obama still has not been properly vetted, and his hope is that people will do their due diligence and know who they are voting for on Election Day. Threatened early on by Hurricane Isaac, the 2012 Republican National Convention went off without a hitch. Instead, there were tremors of an unconventional kind: the outspoken Hollywood conservative.